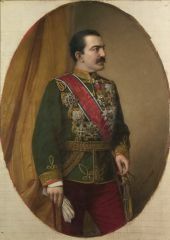 The First Serbian Uprising culminates in the first Serbian Vožd (Grand Leader), a progenitor of the Karađorđević Dynasty, Đorđe Petrović. 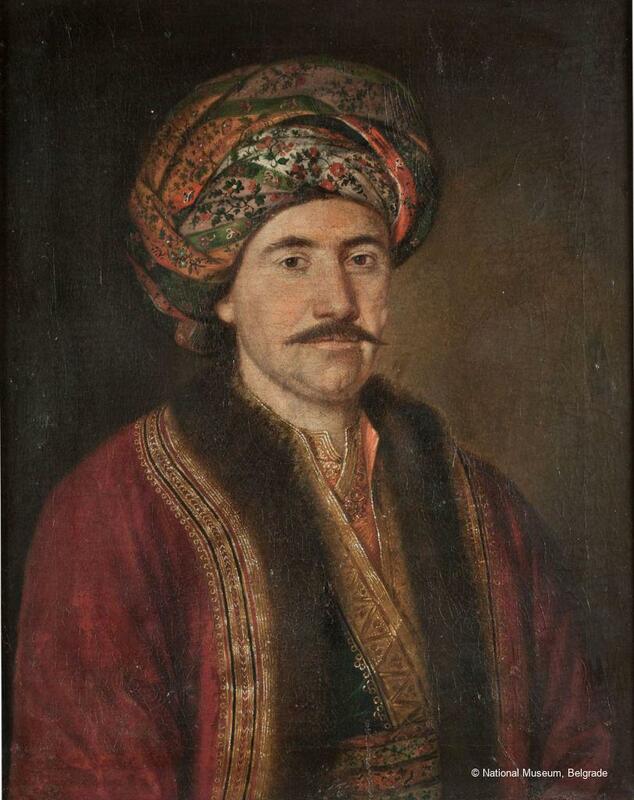 He is elected, at a gathering of the Serbs at Orašac on the Feast of the Presentation, having won many famous victories against stronger and better-armed Turkish armies at Ivankovac, Mišar and Varvarin. 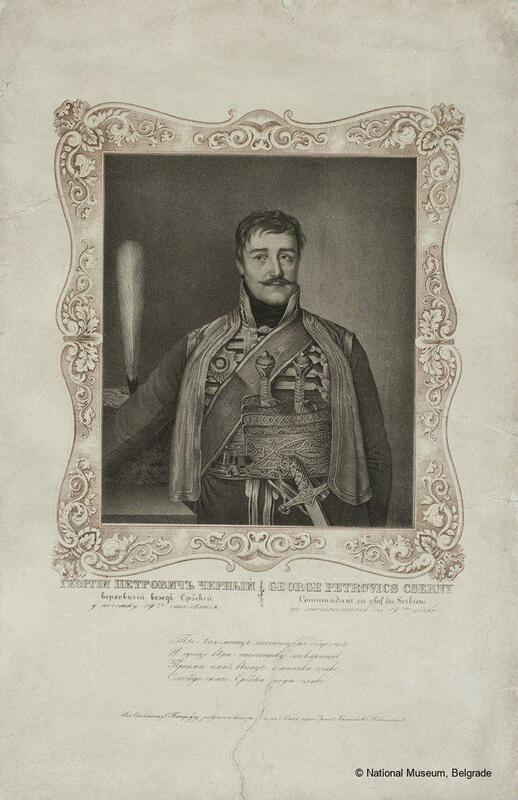 Following the Treaty of Bucharest and the failure of the Uprising, Petrović flees to Austria in 1813, but soon after, eager to continue his efforts at expelling the Turks, he joins the Greek liberation movement. 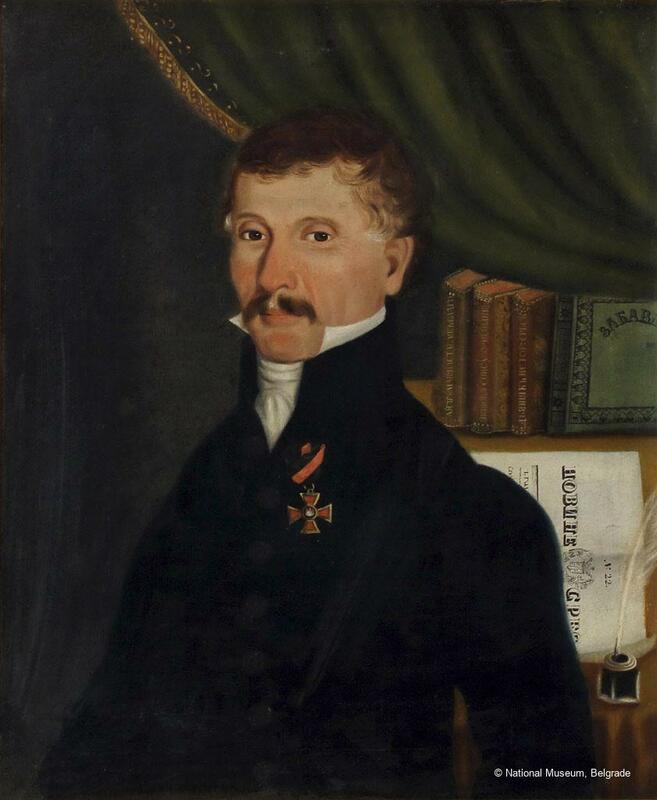 He secretly returns to Serbia in 1817 to discuss a joint plan of action with the Prince of Serbia Miloš Obrenović, but Miloš has him assassinated. 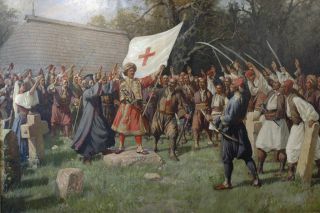 The Second Serbian Uprising – the Takovo Uprising – represents the second stage of the Serbian revolt against the Ottoman Empire, which breaks out soon after. 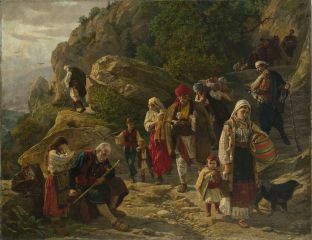 The revolt leads to recognition of Serbian autonomy within the Ottoman Empire and establishment of the Kneževina (Principality) of Serbia, which obtained its own Assembly, Constitution and ruling dynasty. In Vienna in 1813 Dimitrije Davidović, politician, diplomat, author of the Candlemas Constitution and one of the founders of journalism in Serbia, launches Novine Serbske, Serbia’s first daily newspaper. 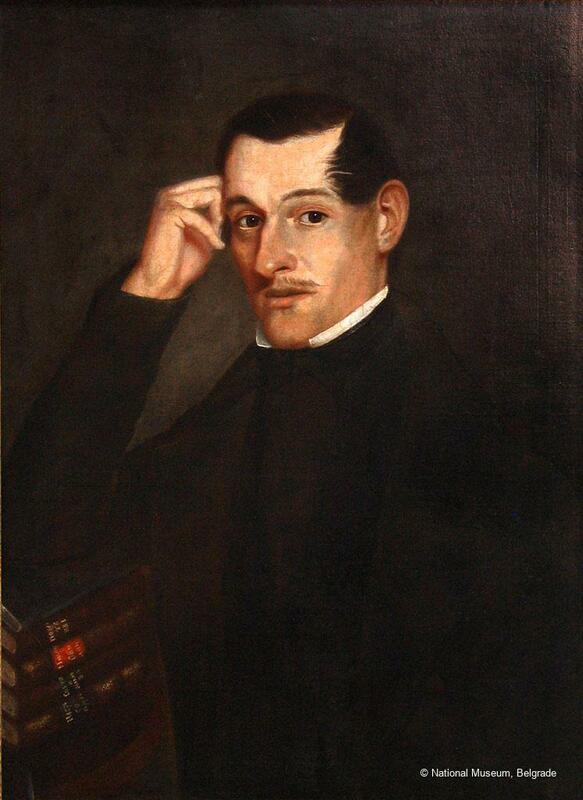 The newspapers are printed in Serbia for the first time in 1834. The First Constitution of the Principality of Serbia (the Candlemas Constitution) is prompted by the autocratic rule of Miloš Obrenović, founder of the Obrenović Dynasty and Serbian Prince (1815–39; 1858–60). 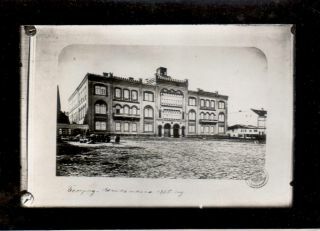 It is signed in 1835 in the city of Kragujevac, with the intention to limit the absolute power of Miloš, but under pressure from the Porte (Turkish Government), Austria and Russia the Constitution is abolished as early as the following year. Serbia’s oldest museum, Museum Serbski, now the National Museum in Belgrade, is founded by the Minister of Education Jovan Sterija Popović. 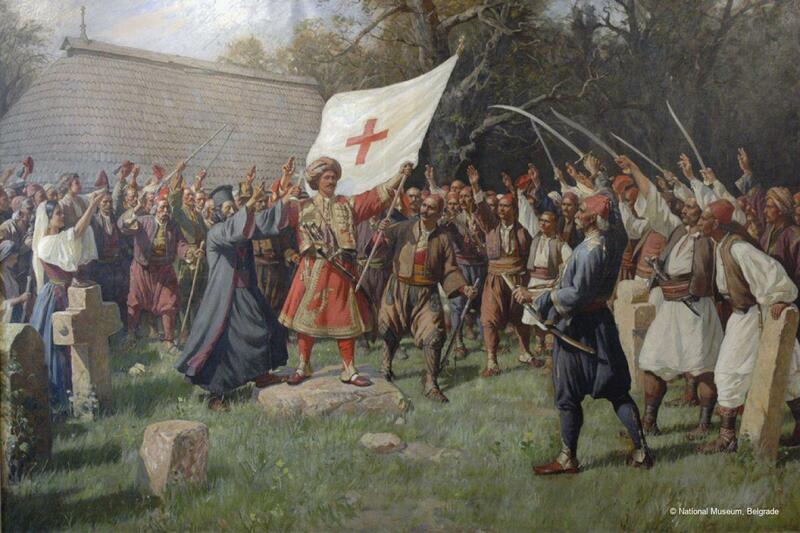 The Serbian uprising against the Austrian monarchy sees the formation of Srpsko Vojvodstvo (the Serbian Duchy). Stevan Knićanin-Vojvoda (military commander) commands Serbian volunteers during the Hungarian Revolution (1848–49). The Hatišerif (Turkish edict) is issued in 1838, allowing the Sovjet (Council) to limit the powers of Prince Miloš Obrenović. Unwilling to accept this however, Miloš abdicates and leaves Serbia in 1839. 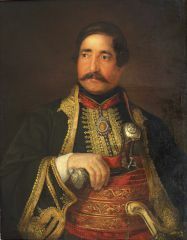 Prince Mihailo Obrenović reigns for a short time before the Karađorđević Dynasty regains the Serbian throne in 1842. 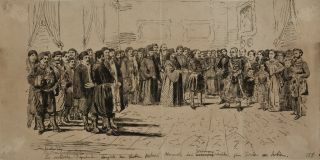 The 1858 Svetoandrejska skupština (Assembly convened on St Andrew’s Day) decides on a change of dynasty, overthrowing Prince Aleksandar Karađorđević and reinstating Miloš Obrenović. 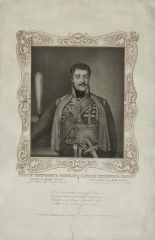 A 37-strong deputation from the Assembly, with a massive, heavily armed entourage, leaves Belgrade for Bucharest to bring the newly elected prince back to the country, marking the beginning of Miloš’ second, but short-lived reign, which ends when he dies in 1860. During the 1875 Bosnia-Herzegovina rebellion against Ottoman authority, the principalities of Serbia and Montenegro provide the insurgents with moral, material and military support, which leads to the first Serbo-Turkish War in 1876. Having been a long time in preparation, the rebellion is widespread and raises questions not only about Serbia but also about the East, thus becoming an event of European importance. 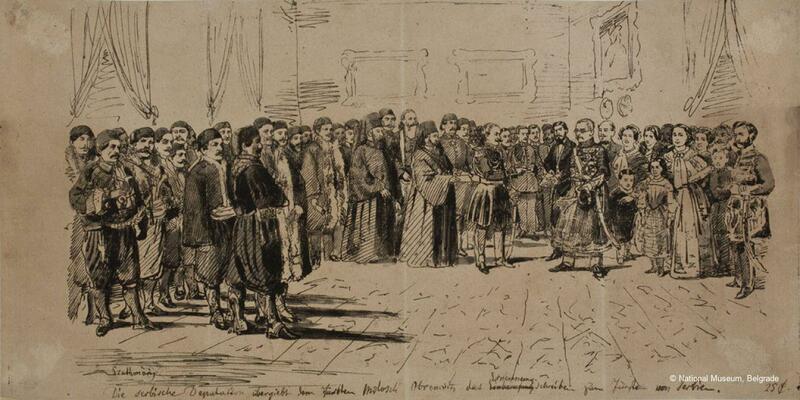 Its outcome is the convocation of the Berlin Congress (1878), at which both Serbia and Montenegro gain independence, and Austria-Hungary takes over Bosnia-Herzegovina. The first king of Serbia in the modern age is Milan Obrenović, Prince (1822–82) and King (1882–89). From the start of his independent reign, Knez Milan works to build up the military, and sides with Russia in his foreign policy. He declares war on Turkey in 1876, but it ends in Serbia’s defeat due to poorly prepared diplomatic policy. The signing of the Treaty of San Stefano (made between the two countries after the Russo-Turkish War) is followed by an about-face in Knez Milan’s policy as he turns more and more to Austria-Hungary. A decision by the Congress of Berlin in 1878 grants Serbia independence, while the Secret Convention (between Serbia and Austria-Hungary) binds Austria-Hungary into declaring Serbia a kingdom in 1882.